If You Need To Move It, Cube It. Get A Quote Today! The best way to move. Our modular shipping container system streamlines the transportation of your goods in a secure, fast and cost-efficient manner. Long Distance moving companies do things the old fashioned way which is no longer your only option. Move It Cube It removes the stress from the moving process by allowing you to take control of your move from start to finish. 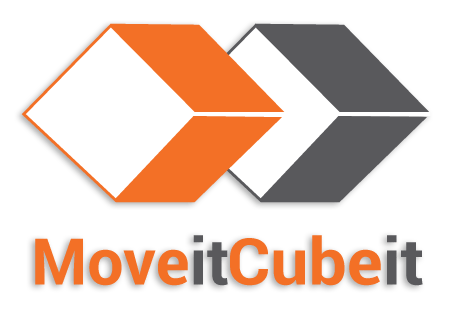 Find out why Move it Cube it is the best way to move. By choosing the DIY option, you can move at your own pace and schedule to have your Cube picked up when you’re ready. As a long distance moving company, we have licensed and insured movers arrive at your location, professionally pack the items and securely load your items into the Cubes. Whether you are moving directly into your new residence or may require short or long-term storage in between, Move It Cube It can provide you with climate-controlled Cubes to service your needs. Our Cubes are the most cost-effective way to move, meeting all of your Permanent Change of Station (PCS) needs with private and secure door-to-door delivery. Moving into a college dorm or apartment near campus? Move it Cube it makes starting your journey easy. Move It Cube It takes pride in being the cornerstone of innovation in the moving and storage industry. 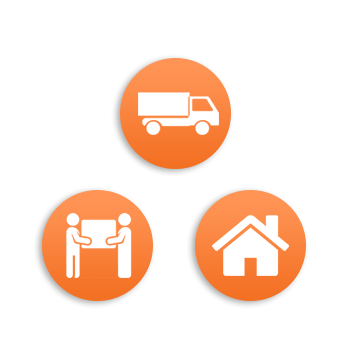 Our mission is to provide the best moving experience possible by offering services, tools and resources that increase efficiency while decreasing costs to our valued customers. Move It Cube It has created a culture of ingenuity resulting in several benefits and advantages for our users. Speak with our experts to see how Move It Cube It helps simplify your moving experience. Get your move started with our secure and reliable Cubes by speaking with a Cube Pro today! Our experts are ready to help answer any questions. One of our Pros will respond to your email within 24-hours. Follow Us on Facebook for giveaways and discounted promotions. In traditional moving, your items are exposed if anyone were to open the back of a moving truck. With Move It Cube It, though, they remain private and secure in our Cubes. Our containers have a solid wall construct that keeps the identity of the items private during transport. Every customer locks the Cube themselves before the container is loaded into the truck for transport. Once you close and lock the doors of your Cube, they won’t be opened again until the Cube is delivered. This keeps your household items secure from theft and damages throughout the transport process. Our Cubes are secure, impact and water resistant, climate-controlled and can be kept outside for an extended period of time. Our system operates on a pre-determined cross-country transport schedule allowing for accurate and efficient pick-up and delivery windows. Standard long-distance moving includes a great deal of risk. With Move it Cube it, though, our system is designed to cut risk at every corner. Not only does our system operate on a well-established cross-country transport schedule, but our pick-up and delivery windows are accurate and efficient. What’s more, each of our Cubes is impact and water resistant, and made from heavy-duty material, which is designed to ensure the security of your cargo throughout the journey. Each of our cargo Cubes is versatile enough to handle anything you want to pack into it. In addition to the fact that we offer multiple cubic feet and weight options, our Cubes are intelligently designed to maximize space and make it easier for you to arrange your items. Once you’ve packed them to your liking, we’ll move them with our unique pallet jack system, which makes it safe to weigh and move each Cube safely. Let’s get your move started! It’s now easy to find a long distance moving company, use Move It Cube It.